We went to That Amazing Place to fill Hattie’s reception room with Gypsophilia for a country style wedding. Have you ever seen such a perfectly neat and tidy room for a wedding? 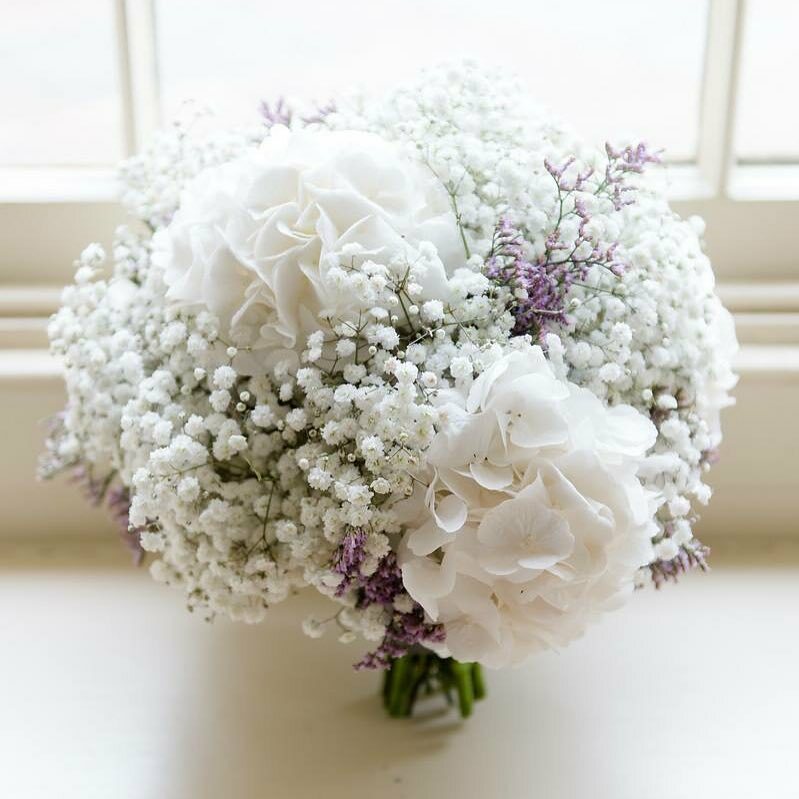 A gorgeous 30inch ring packed full of Gypsophilia sat perfectly on top of the mantle piece inside the room, with a big and beautiful hydrangea and gypsophilia bouquet held tightly in the bride’s hand as she walked down the aisle to her prince! Gypsophilia works brilliantly for a modern style wedding too, arranged neatly in glass cubes.